The US should follow allies in pledging support for the China-led Asian Infrastructure Investment Bank (AIIB), or risk being left out in the cold. After Washington appeared to soften its previously belligerent stance towards the new development bank, analysts have advised the US to pursue a collaborative approach to what is “a positive-sum game for all players involved, in the sense that everyone will end up better off than before”. International support for the AIIB continued to grow this week, with the International Monetary Fund (IMF)’s chief Christine Lagarde saying she would be “delighted” to work alongside the bank, which is viewed as a rival to the World Bank. This came after a host of influential European nations pledged to join the nascent bank, led by the UK, Germany, France, Italy, Luxembourg and Switzerland. The UK’s Chancellor George Osborne signed on despite a personal phone call from the US Treasury Secretary Jack Lew urging him to hold fire. Over the weekend, the Association of Southeast Asian Nations (Asean) pledged full co-operation to the AIIB, while Japanese Foreign Minister Taro Aso on Tuesday said he supported the bank, with Seoul expected to join its neighbours by the end of March. As well as the slew of potential infrastructure projects their respective construction firms could bid for, these governments are keen to have an influence over what the AIIB becomes – an opportunity that will be lost to the US, should it not pursue a more progressive approach. “I think most countries did not want to give up the ability to play a constructive role in shaping the AIIB. Mere criticism of the governance-structure or abstaining from the AIIB would have been worse than joining it. 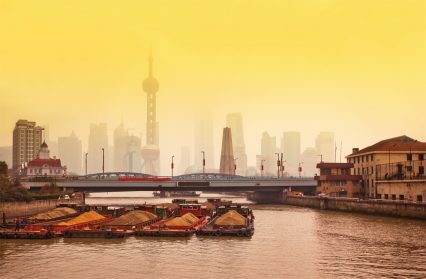 There is huge demand for infrastructure investments and only a newly-formed development bank with a specific focus on infrastructure can fill this gap,” Moritz Rudolf, a policy analyst at the Mercator Institute for China Studies, tells GTR. “Even without the support from ‘western countries’, China would have found enough supporters for the AIIB. This would have left them in the unfavourable position of being a mere spectator. This is a situation the US could be facing now,” he added. The US government has been left frustrated by the Republican Congress’ refusal to reform the Bretton Woods institutions in order to allow China and other emerging economies more say over international trade policy, with Lew warning recently that “our international credibility and influence are being threatened”. He appeared to offer an olive branch by saying the US was not against the AIIB’s creation, but that those joining up needed to ensure that its lending followed the best practice outlined by the existing organisations. This shows, analysts say, that the US feels its place at the top of the trade pile is under threat for the first time since World War II. “White House and State Department staffers viewed the AIIB as a challenge to the World Bank and IMF and thus put pressure on US allies not to join the bank. Since the UK and other European countries decided to join anyway, there’s clearly a recognition in Washington that this earlier strategy was a mistake. Obama is now pursuing a more collaborative approach – without actually joining AIIB, which Congress would never allow – through which the US might get a bit more influence on how the new bank is run,” Ben Wang, China analyst at the Eurasia Group tells GTR. Questions still remain as to how the AIIB will function. As of today (March 25), the bank doesn’t even have a website, while open hiring is expected to begin later in 2015. However, there is a feeling that with the US$40bn Silk Road Fund being owned and operated entirely by China, the AIIB may be a more collaborative and multilateral organisation, rather than a direct tool of Chinese state policy. Whether the AIIB and World Bank can collaborate will depend on how much flexibility each party is willing to show in negotiations. The US has intimated that World Bank standards are unmovable, while China is determined to strike out on its own. But the early indications are that the AIIB will be staffed by bankers experienced in the Bretton Wood methodology. “The AIIB is only a work in progress and still developing its governance standards and requirements. AIIB will be hiring experienced development professionals from around the world, many from the World Bank itself, and these people will play a significant role in shaping and approving the projects. “The Chinese preparatory committee for AIIB is chaired by a former ADB vice-chairman, while his deputy was also a former Chinese delegate to the World Bank. Moreover, as more western countries choose to participate, they will be able to help shape the future of AIIB as well. It is possible that the AIIB turns out to be something quite different from what Chinese leaders initially envisioned,” Wang says. If the pair can find a way to work together, there is no shortage of work to be done. The ADB estimates that there is an US$8tn infrastructure gap in Asia, with the AIIB the only credible option in even partially bridging this gap. The US, if it wishes to be a part of how the funds are disbursed and where, has been urged to adopt a more constructive manner to its erstwhile rival.